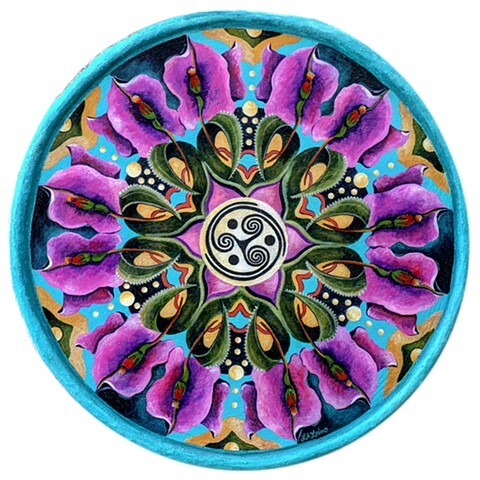 This mandala was created as an outdoor mural as part of the "Camino de la Paz" project, for Lifepath Retreat Center in San Miguel de Allende, Guanajuato, Mexico. The image is available as a Giclee print. The edition is 100. Size is 16" x 16" (image size). Each print is signed, numbered and comes with a certificate of authenticity. Cost is $100 plus shipping.